This is proof positive that you don’t have to live in the country to decorate successfully with farmhouse style. 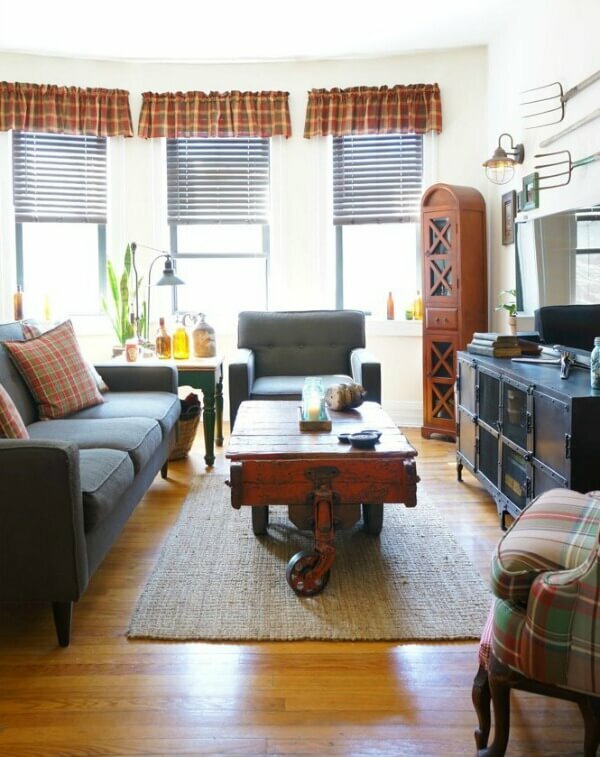 This is Nick & Spiro’s city farmhouse in a generic 1100 square foot apartment. Don’t despair if you live in an apartment and can’t take down the mini blinds. 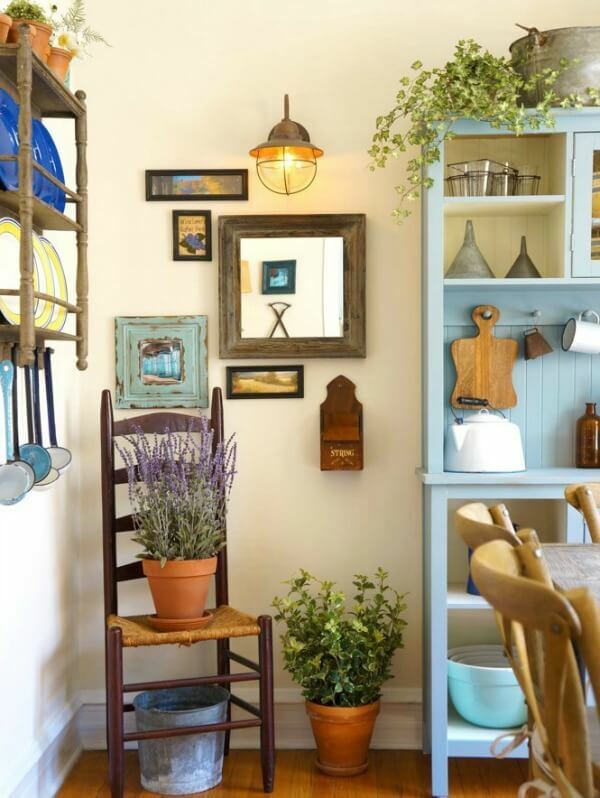 White walls are the perfect canvas for showing off your farmhouse wall decor. 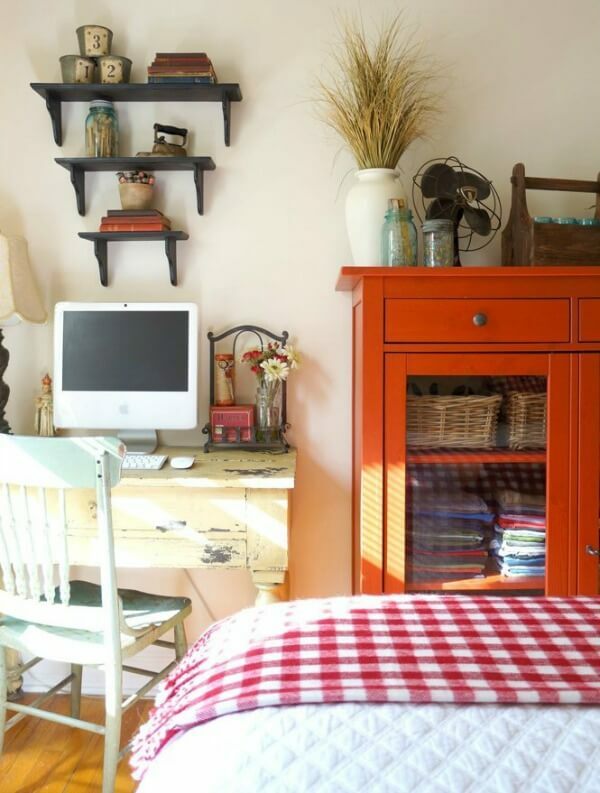 Focus on furniture, and don’t be worried that you don’t have fancy woodwork and built-ins. The idea is to focus on what you do have, not what you don’t have. 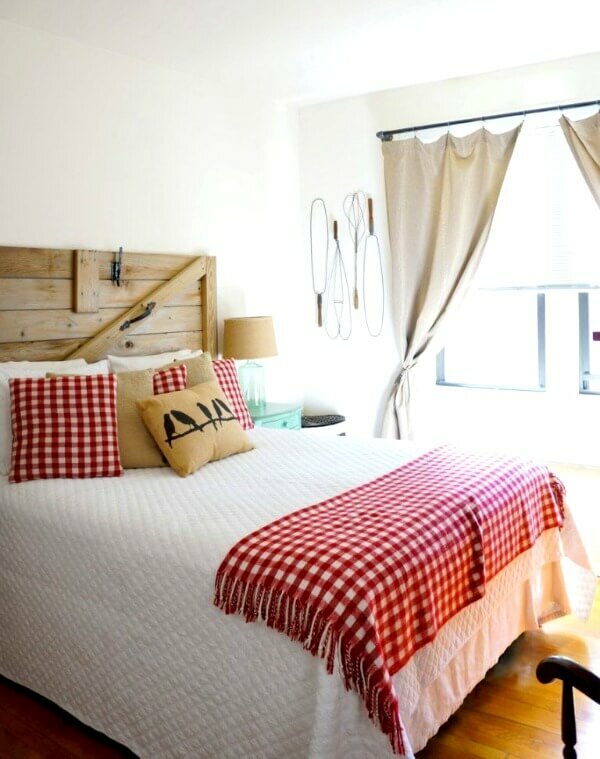 An old door for a headboard, and checks of any variety epitomize farmhouse style. 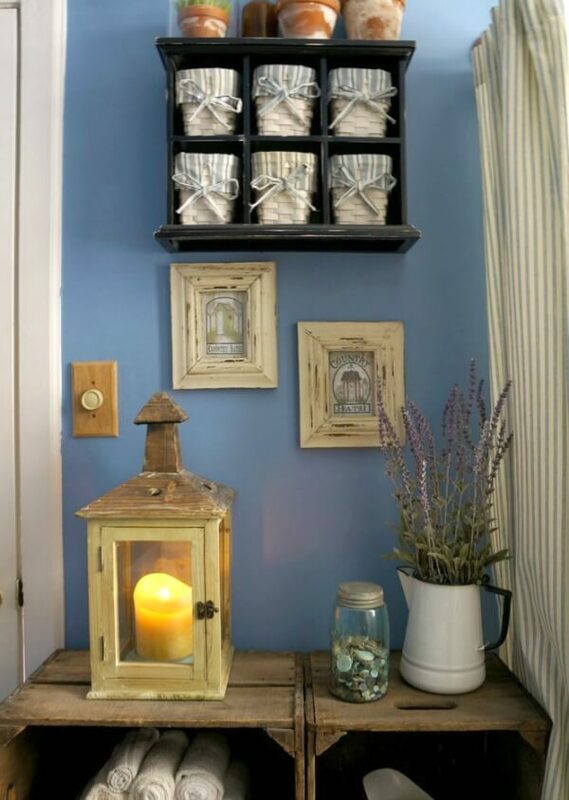 One can use three similar wall shelves in varying sizes if you don’t have a great farmhouse cupboard. 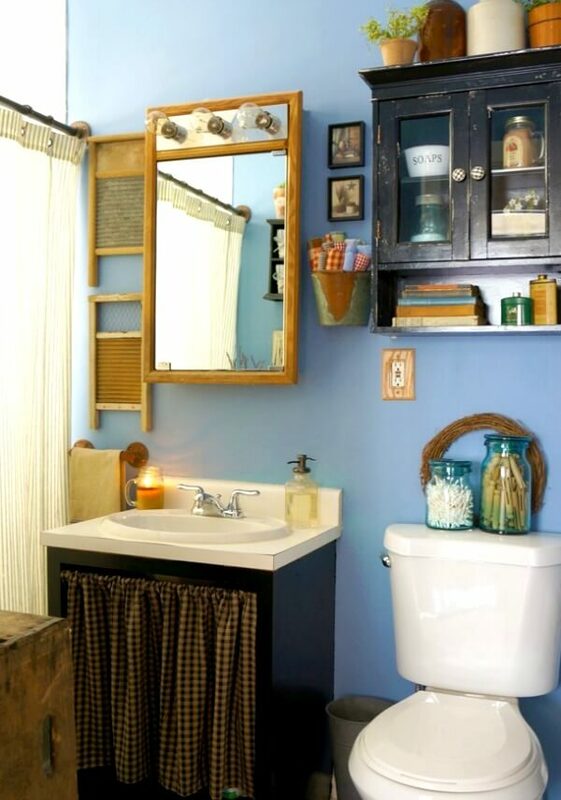 Farmhouse style can be seen in the bathroom. 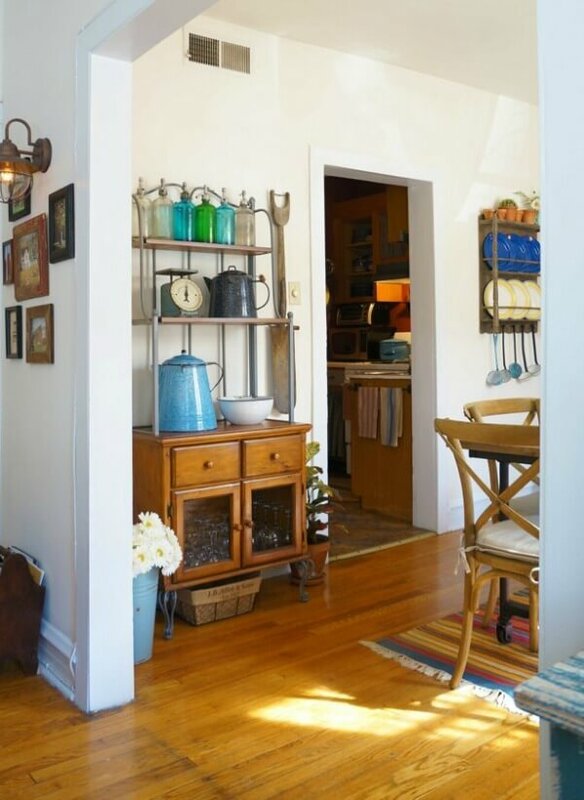 Take the old modern bulbs out and go for the Edison bulbs. I think you’ll agree that no one would know that this is a generic apartment and not a farmhouse out in the countryside. Doesn't look like a generic apartment at all! They have achieved the goal of making it a personalized home just like you have. Love this Brenda. Just proves you can have your own style in any size or any place you live. 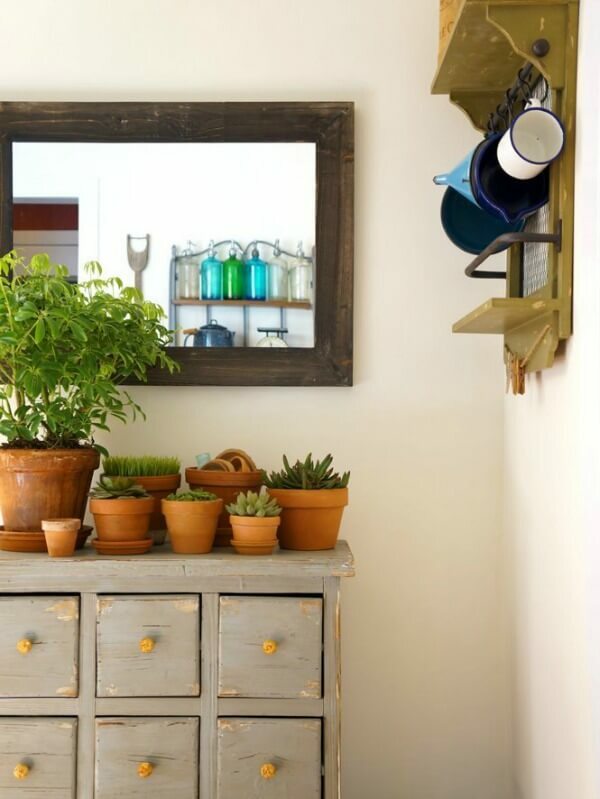 Love the farmhouse style. 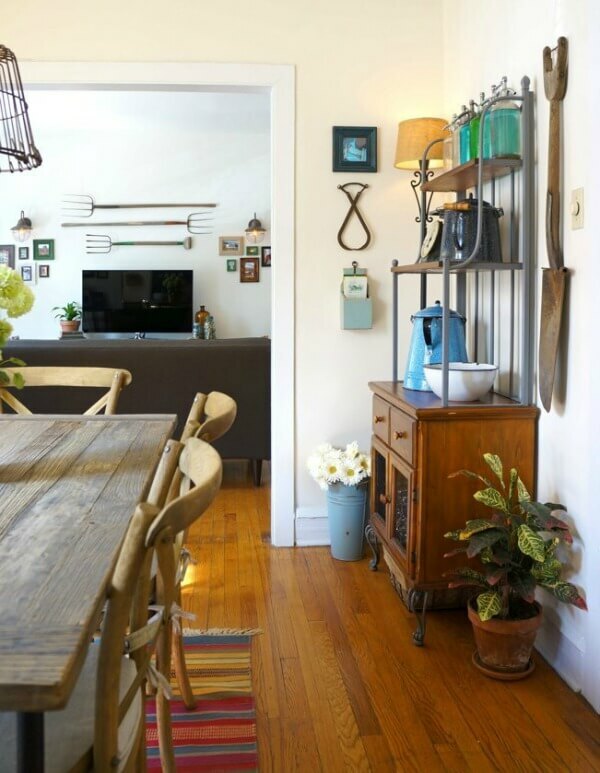 I love seeing how people personalize their rentals, like you, Brenda! Great apartment, those two are quite creative, for sure! That apartment is amazing! I would love to go shopping with them. I bet they had a great time finding their collection and you can tell it is a work of love. Wow! Great example of creating a vision that is you, no matter where you live! This looks like you. Pretty decor. Everything about this space I love. Maybe not the hanging spade? So farmhouse and cozy. What a great job they have done Brenda!….I would swear that you were their decorator..lol..Have a Happy 4th girlfriend! I'm in love! What a delightful space. Perfect! The white walls are the perfect backdrop for their simple farmhouse style. Love it. Absolutely love this apartment….could just move right in. Carolyn in Fl. I love this!! 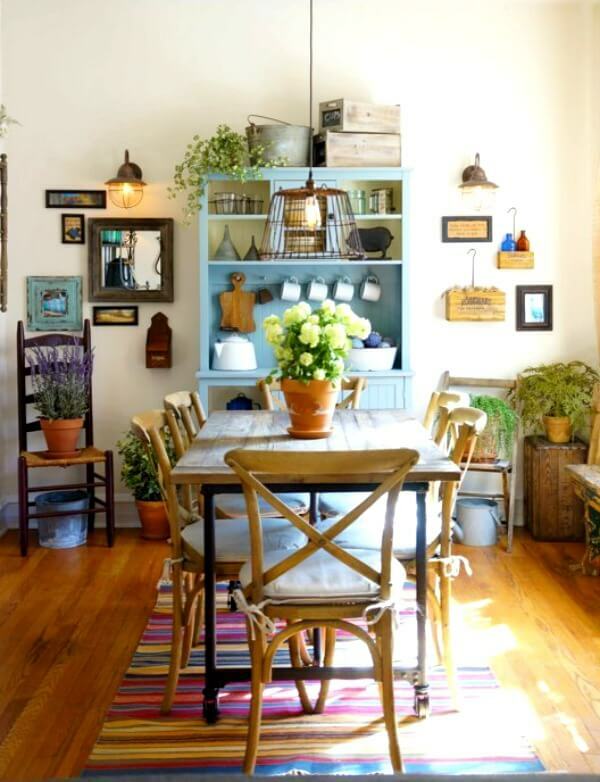 They have used every inch of space and made it gorgeous! It looks so welcoming and cozy. How did I miss this post? Can't remember looking at it anyway! I love the way they have decorated this apartment. It is very cozy & welcoming.